René Grosbusch founded the company back in 1978 at the age of 24. 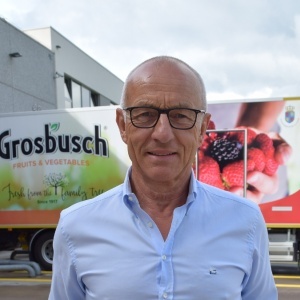 Since then this company has grown to become the leading company in import and export of Fruits & Vegetables in Luxembourg. He's an expert in entrepreneurship, building relationships, business strategy and product development and also speaks five languages ​​including Luxembourgish, French, English, German and Italian. His hobbies include sports such as running, swimming, triathlon and car-racing.